Good Neighbor Insurance provides immigrant medical insurance to non U.S. citizens residing in the U.S. The Petersen International Bridge plan, here at https://www.gninsurance.com/petersen-health-bridge-plan/, is a great “bridge” plan for those needing medical coverage today while they wait to get on U.S. Medicare cover. Usually it takes up to five years for an immigrant to get on Medicare Part A and be able to purchase Part B. This is where the Bridge plan will help our immigrants as they work towards becoming U.S. citizens. 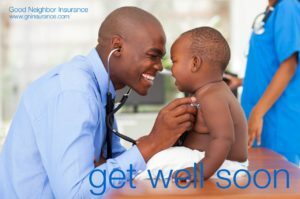 Call one of our professional medical insurance specialists for more information. You may call us toll free at 866-636-9100 or here in Phoenix, Arizona at 480-633-9500. Or email us here at info@gninsurance.com.